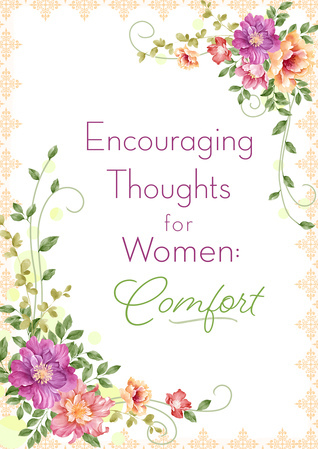 Every woman can use some encouragement and a little comfort in her day. Here, in a brand-new book, are simple, heartfelt devotions that will speak to women of all ages. Overflowing with thoughtful devotions, prayers, memorable quotations, and Bible promises, you’ll find the blessings, encouragement, joy, and comfort your heart truly desires. This book is filled with encouraging words, scripture and quotes to help you when things are not going exactly right. Who could not use some encouragement to help you get through life? It cover such topics as perspective, wisdom, healing and gratitude, to name just a few. I found the short sections dedicated to different topics helpful and I could read whichever pertained to me on any given day. I can go back and reread this book when I need extra encouragement. I would recommend this book to anyone who is looking for inspirational readings that you can read everyday. I found this book very helpful in my everyday life. I received a free copy of this book from NetGalley in exchange for a honest review. I would like to thank NetGalley and Barbour Publishing Inc. for the opportunity to read and review this book.